A five-day Iranian film show is underway at Begum Sufia Kamal Auditorium of Bangladesh National Museum in the capital’s Shahbagh area. The show has been organised on the occasion of the 40th anniversary of the glorious victory of the Islamic Revolution in Iran (National Day). Jointly organised by Iranian Cultural Centre, Dhaka and Bangladesh National Museum, the inauguration ceremony of the show was held at the main auditorium of the Museum at 3:30pm on Friday. A discussion programme titled ‘40 years of Islamic Revolution in Iran: Achievement and Potentials’ was held as part of film exhibition. State Minister for Health and Family Welfare Md Murad Hasan was present as the chief guest at the discussion where executive editor of amadersomoy.com Rashidul Islam presented the keynote speech. Acting cultural counsellor of Iran Cultural Centre Dr Seyed Mahdi Hosseini delivered the welcome speech with National Museum secretary Abdul Mazid in the chair. 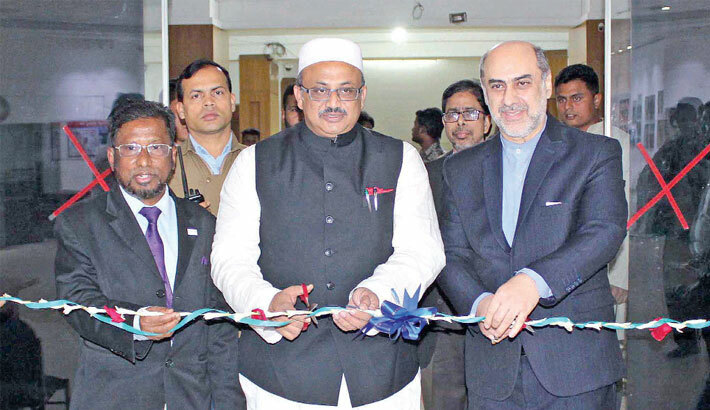 Mohammad Reza Nafar, Ambassador of the Islamic Republic of Iran in Bangladesh, and Touqir Ahmed, eminent actor and film director, were present at the programme as special guests. The inaugural programme was followed by the screening of the first film, ‘M for Mother’, directed by Rasoul Mollagholipour. Iranian Film will be screened at 11 a.m. and 3 p.m. at Begum Sufia Kamal auditorium of Bangladesh National Museum from 9th – 12th February, 2019.